Where is Pet Mania in Holly Springs on the Map? 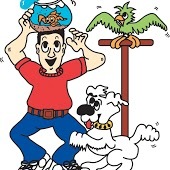 This pet store has been around for a very long time and you quickly see why. Their staff and selection are both great. I love supporting local businesses and seeing those businesses around for 20+ years. Awesome ladies who take time to listen and understand special needs pets. Super Quality and Variety. We have had a difficult time finding healthful, safe, American made snacks and foods for our cat and dog at the big boxes. Pet Mania has a great variety at reasonable prices and friendly staff to boot.